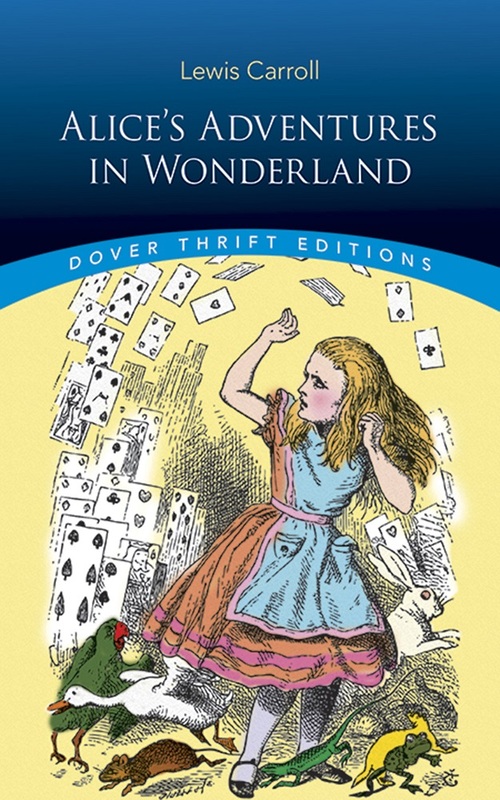 One of the most popular and most quoted books in English, "Alice's Adventures in Wonderland" was the creation of Charles Lutwidge Dodgson (1832 1898), a distinguished scholar, mathematician, and author who wrote under the pseudonym Lewis Carroll. Written for young readers but enjoyed equally by adults, the wonderfully fantastic tale is credited with revolutionizing children's literature and liberating it from didactic constraints. The story is deeply but gently satiric, enlivened with an imaginative plot and brilliant use of nonsense, as it relates Alice's adventures in a bizarre, topsy-turvy land underground. There she encounters a cast of strange characters and fanciful beasts, including the White Rabbit, March Hare, Mad Hatter, the sleepy Dormouse and grinning Cheshire Cat, the Mock Turtle, the dreadful Queen of Hearts, and a host of other unusual creatures. A selection of the Common Core State Standards Initiative.